When your geospatial research project or organization faces a technical hurdle, our Service Center can help you find the solution. With a focus on finding the right approach for each client, we leverage the skill sets and knowledge base of personnel at the Center for Geospatial Analytics to perform geospatial services on a contract basis. We build web mapping applications with cutting-edge technology. We create custom schema to house tabular and spatial data. 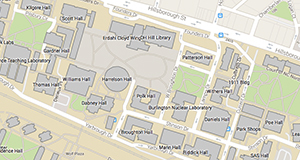 We offer flexible and robust spatial data hosting for web mapping applications. We can help launch your drone research with mission planning, imagery processing and analytics. We leverage the latest techniques to analyze landscape patterns and processes. We offer various remote sensing services, including land use classification. We create high-quality maps (both physical and electronic) individually tailored to meet client specifications and cartographic standards. Let us help you perform your big-data analyses faster through batch automation. We can help you process your geospatial imagery, including scanning and georeferencing hard copy imagery. 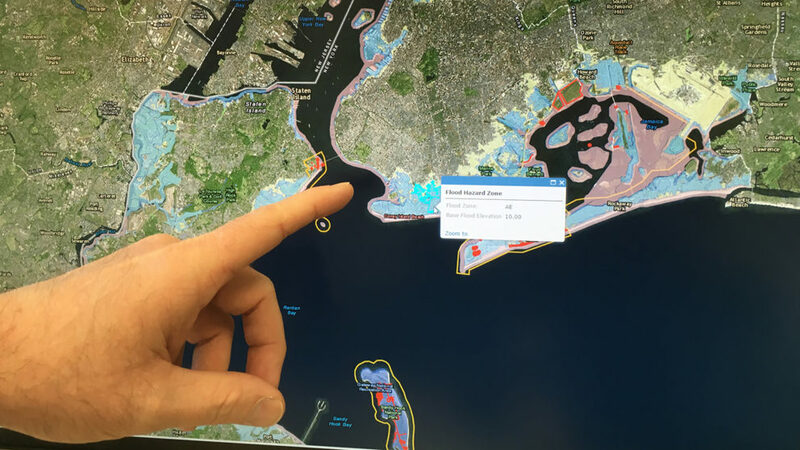 We can help you install and run your own tangible user interface for geospatial analysis. We develop and improve open source geospatial software, build solutions for clients leveraging open source and provide training for existing software. We offer personalized training to build the skill set of your own team. Contact our center’s Assistant Director of Operations, Zachary Arcaro (zearcaro@ncsu.edu, 919-513-4000), to discuss the general scope of your project. This dialogue will establish the key details of the work and determine if the project is within the capabilities of the Service Center. For internal partners within the NC State University community, we use the rates established by the Office of Cost Analysis. Internal partners include individual faculty with funded/proposed research projects, college and departmental offices, other centers/institutes, university consortia, extension offices and other NC State units. Our base rates are determined by the costs (time/effort and materials) associated with service center operations. The costs associated with a specific project are based on the estimated effort and materials needed to produce the project deliverables within the given timeframe. Billing is conducted through the ITD system in Wolfpack Portal. For external partners outside of NC State University, we provide an estimate for the costs associated with completing the tasks outlined in the established scope of work. Once the key details are determined, a contract is prepared and executed. Invoices are delivered as specified in the contract. Planning to submit a research proposal to a funding agency and looking to involve the Service Center? We are happy to help both internal and external partners prepare proposals that include contracted services with us in their budgets. The Service Center does not independently conduct novel research. Where this type of activity is necessary, your project will be referred to a Center for Geospatial Analytics Faculty Fellow, who can then establish the project through the appropriate NC State research office.